FileMaker, Inc. has just released the FileMaker 17 platform. 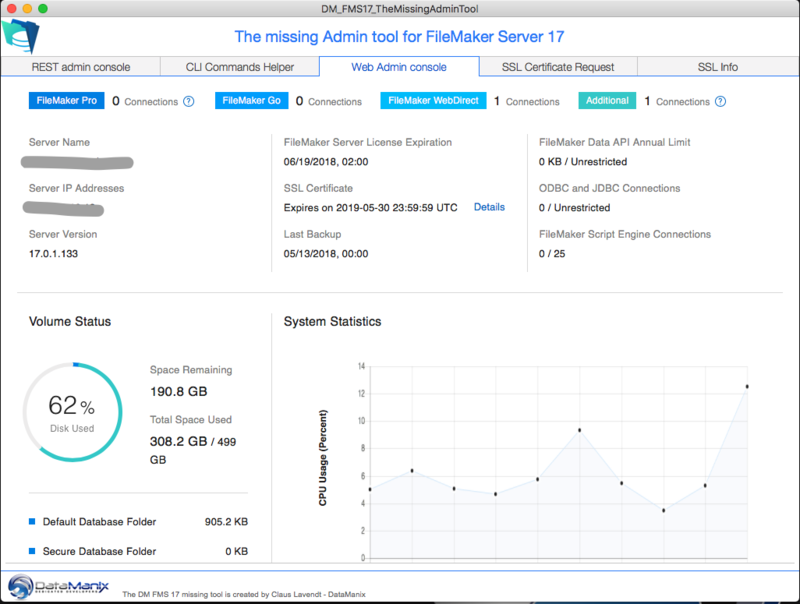 While we are excited about some of the new great features, the FileMaker 17 Server now features a new web admin console, that looks like the FileMaker Cloud Admin Console. 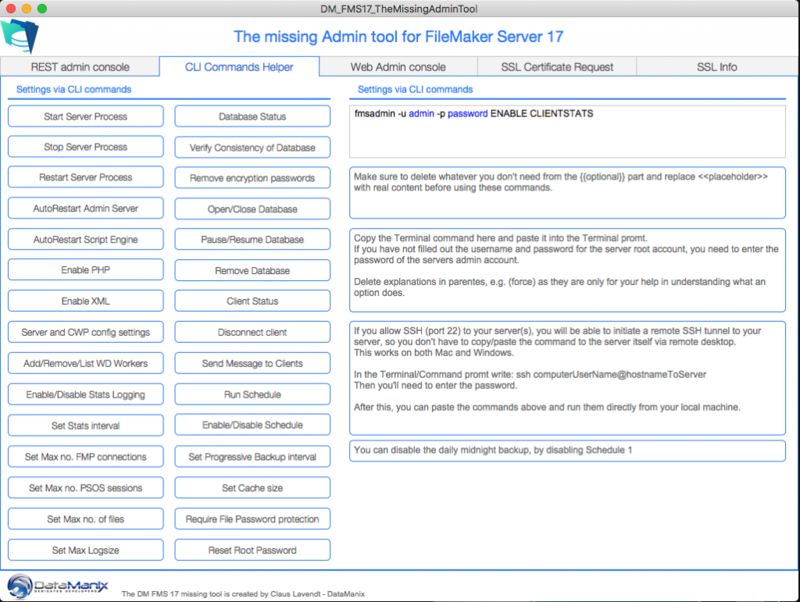 While the web console is nice looking, it lacks several features, that can be vitale in order to manage your FileMaker server. Most features are not completely gone, but now you will need to use Command Line commands or use the new Admin REST API. 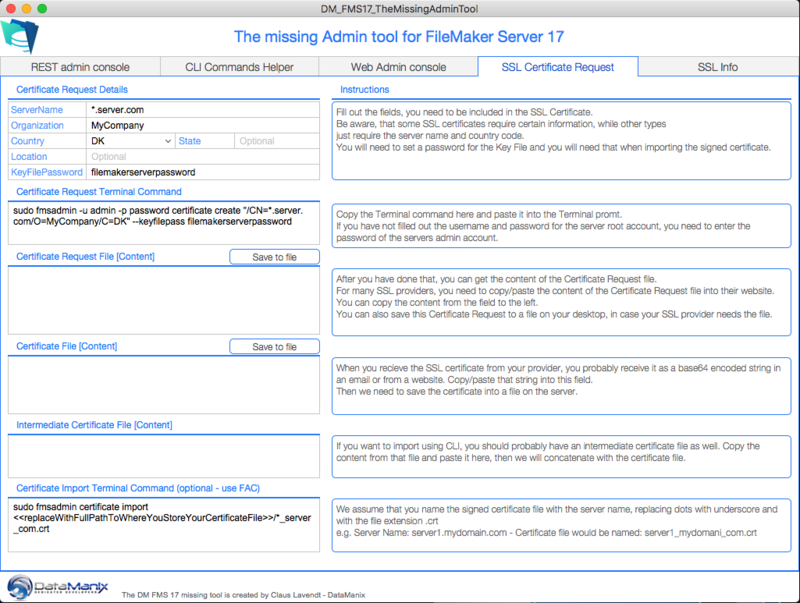 For many Server admins, this new way of managing FileMaker Server, might be difficult to master all these interfaces. 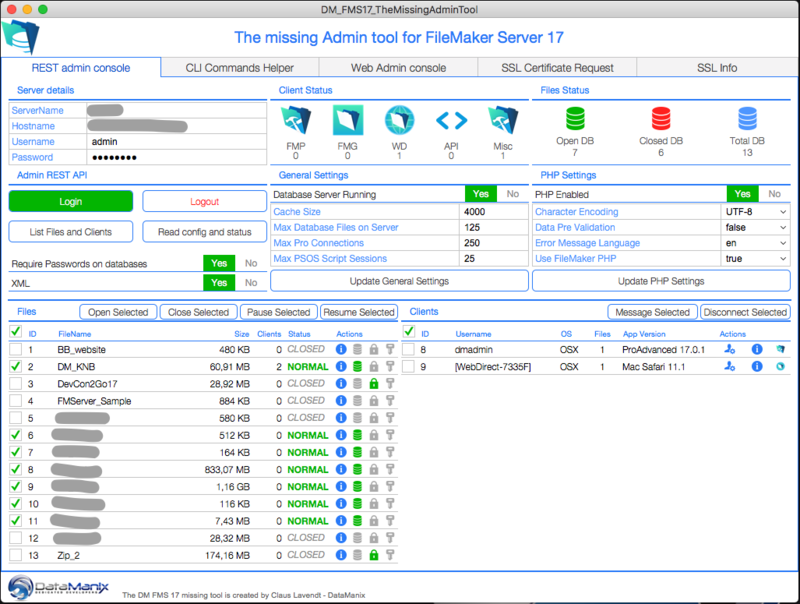 In order to help our colleagues, we built this tool, that combines all the interfaces you will need in order to manage your FileMaker Server 17. When you install FileMaker Server 17, you will need to install a Custom SSL Certificate. Unfortunately, the web admin console will no longer have a feature to generate a Certificate Signing Request, which you need in order to purchase your custom SSL certificate. In order to do so, you will need to do this via CLI commands. The FMS 17 Missing Admin Tool has a feature to generate this command, so the process will be easier. We also include a lot of information and links to videos, we’ve done with Richard Carlton in the past, in order to help you through this process. The tool is completely free and completely unlocked, so you can dig in and learn from the code. The only thing we ask of you, is your name and email address so we can send you an email, when we publish new helpful tools and articles. If you like this tool, please let us know and let your colleagues know. We are very excited about the FMDataMigrator tool as it will allow us to do deployments of solutions much, much faster than in the past. This will reduce the argument to do development in live solutions drastically. Since this new tool is a Command Line Interface tool, it means that you will need to write CLI commands to use it. We wanted to build a tool, that will help us, using the tool. And so we decided to share it with our colleagues in the community. The way we built it, is reflecting how most of our solutions are built. We use the data separation model and in several large solutions, we have multiple data files. 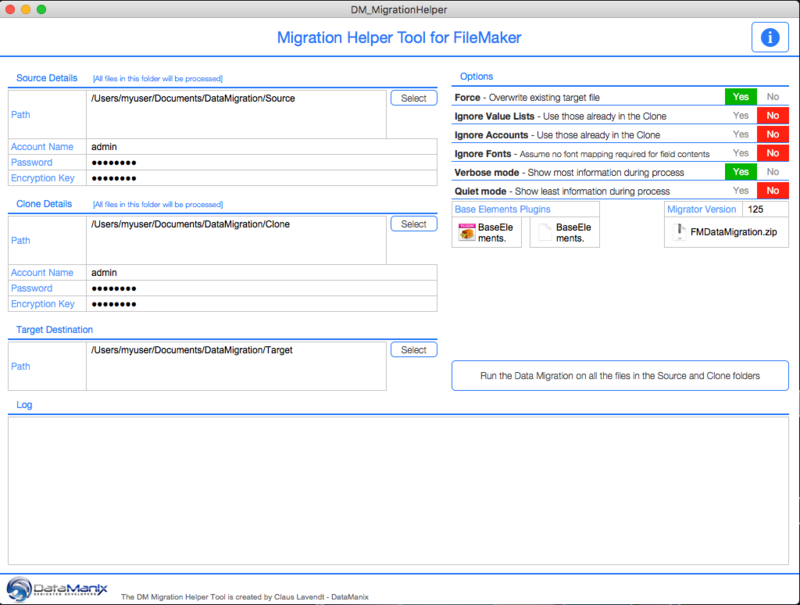 So we wanted to build a tool, that can do the data migration on several files in the same process. This tool will loop through the files in the source and clone folders and do data migration on all these files. However, if you only need to do data migration on a single data file, you can just place this in the folder. Please read the informations in the tool, in order to understand how it works and the assumptions we make on filenames etc. If you need the process to work differently, you can modify the code.